The Parallel website needed four illustrations: one for its main page and another three for the sections. Here I tell how they were made, from brainstorming to the finals. Lets start with the About Us section. 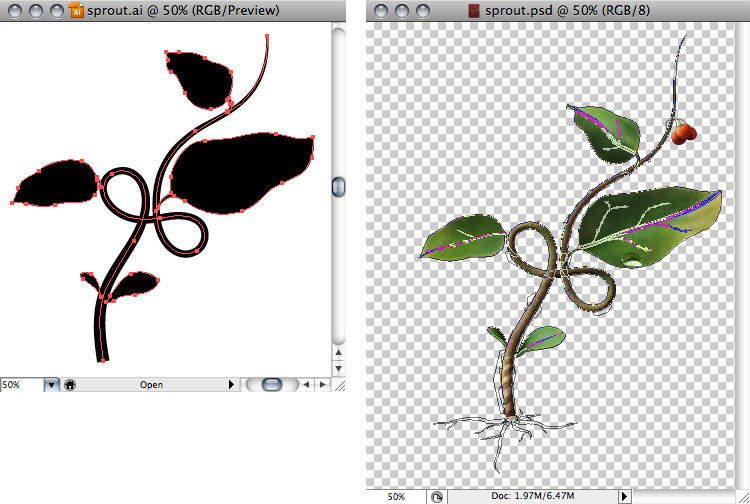 I am going to use a sprout as a metaphore for the company. This way I can show where the business started, what it has developed into, and how it continues to grow upward. 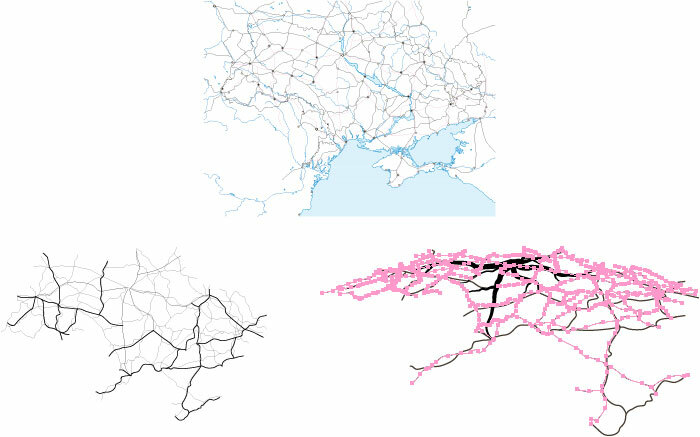 Parallel is a Ukrainian gas station chain, which tells me the road map of Ukraine would make great rootage for the plant. I deliberately bend the stem so that it resembles a roadway. And the leaf veins can look like road line marking. In this case internal page links appear as text accomanying illustrations. 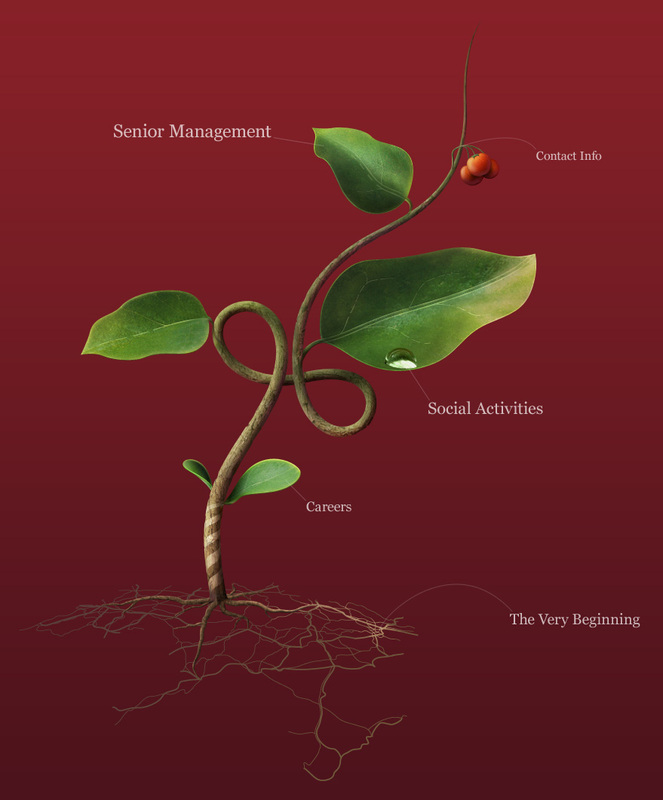 So there should be certain details to symbolize the meanings—a large leaf at the top for Senior Management, a bunch of berries for Contact Info, a dew drop for Social Activities, and a small leaf at the bottom for Career Opportunities. It is sprouting up from Kiev, but I make it clear that everything started in Donbass. As a finishing touch, I put some traffic stripes on the stem.